Vodafone, the country's second largest telecom company, has launched a new offer. Vodafone has offered the smallest offer till date to compete with Geo. It starts from Rs 7 and the special thing is that it is for both prepaid and postpaid users only. Under this SuperHour plan, offers will be given to customers for an hour. This type of offer was not given by any company earlier than this. 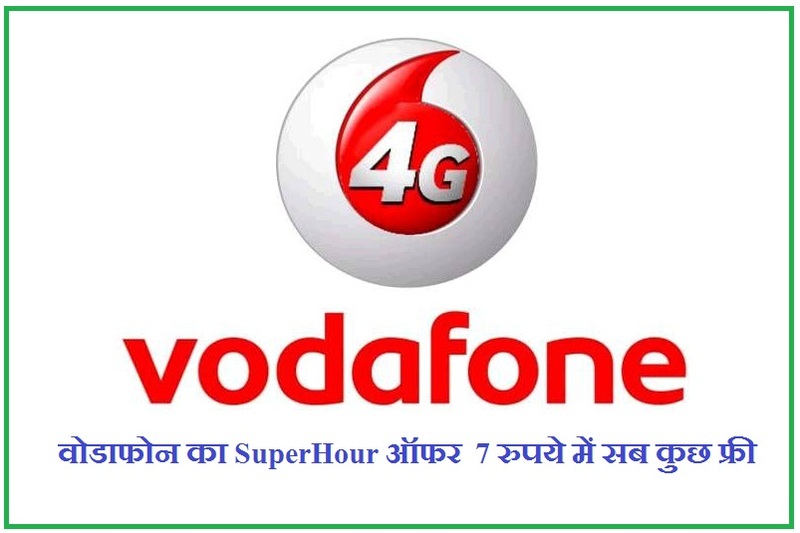 Vodafone Unlimited Calling from Vodafone for one hour will be given to the Company customers under the plan of 7 rupees. According to the company, the 1 hour period will start from the time of the activation of the pack. Apart from 3G / 4G, there is also 2G ​​data that will have to pay 5 to activate. To activate the Vodafone SuperHour, you have to go to Vodafone app. 0 Response to "How To Activate Vodafone Rs. 7 Unlimited SuperHour Offers"